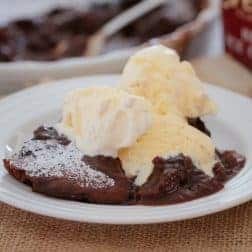 The perfect old fashioned chocolate self-saucing pudding… a rich chocolate cake smothered with a smooth chocolate sauce (printable conventional and Thermomix recipe cards included). For me, the best thing about winter is the desserts! 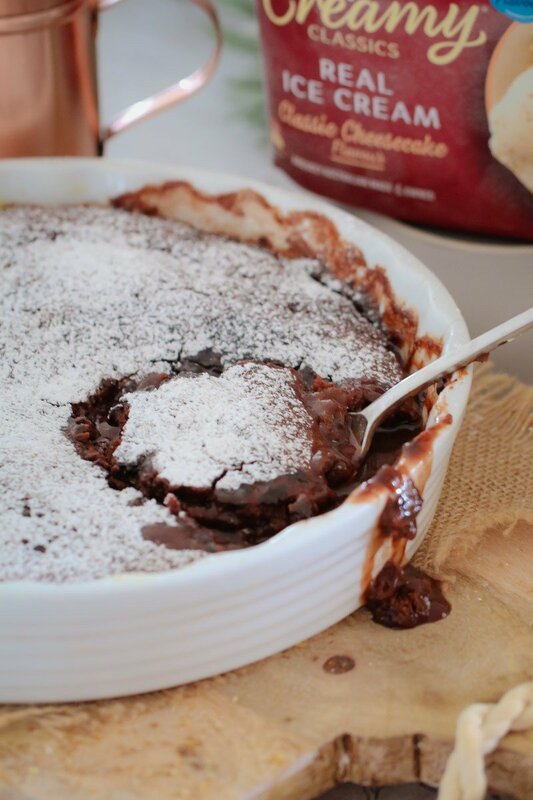 Forget about the yucky cold rain and wind… it’s all about hot puddings, crumbles and pies! Bring it on….! 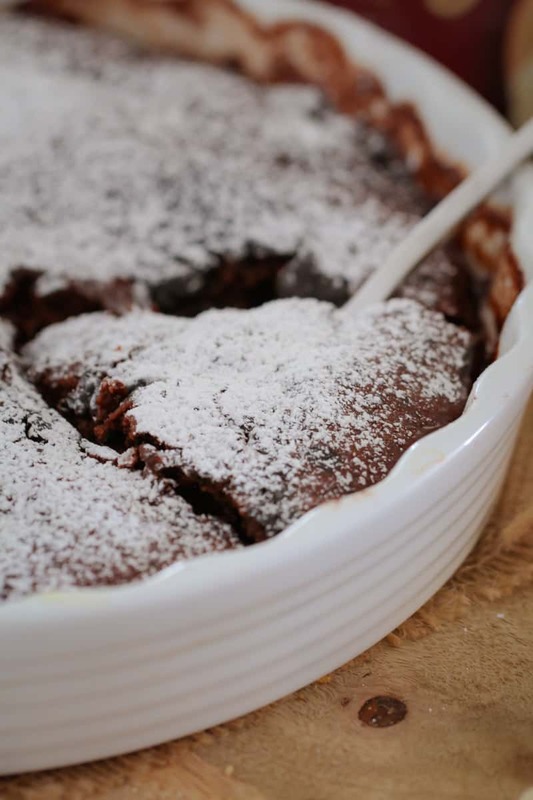 And while we’re chatting all about winter desserts, let me introduce you to this classic and old fashioned chocolate self-saucing pudding. There’s a fair chance you ate this growing up… it’s seriously an all-time favourite. 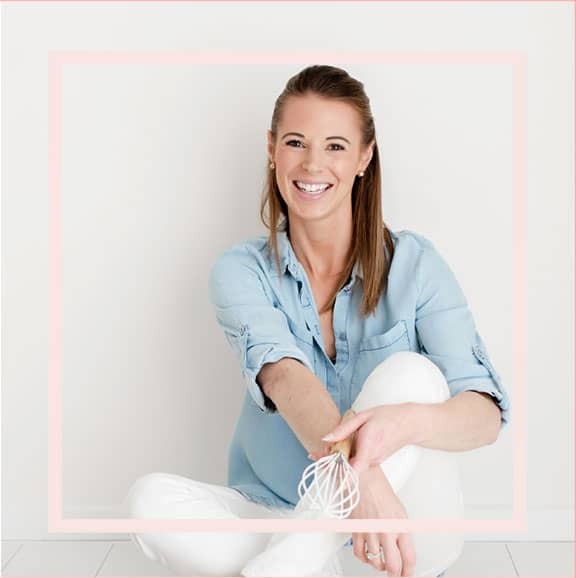 cheap to make (super cheap… it’s all about using basic ingredients that you’ve already got at home)! quick and easy (think no fuss and hardly any dishes!). 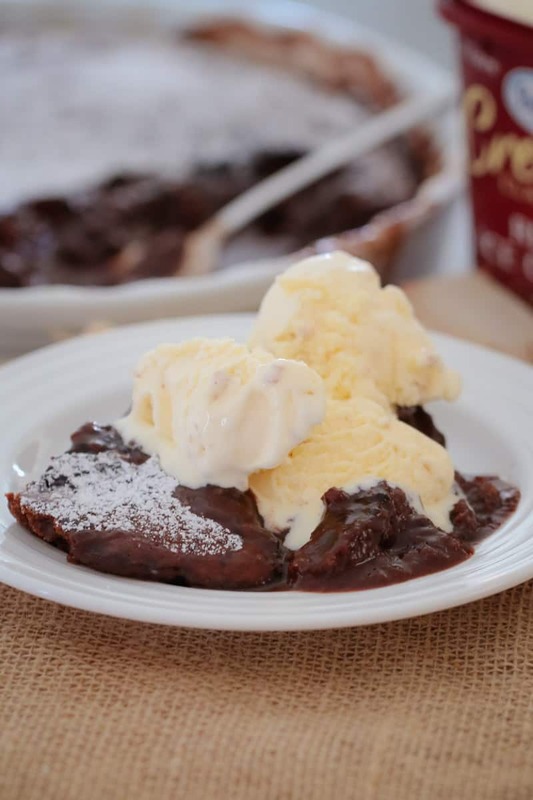 But please don’t be fooled by the ease of this chocolate self-saucing pudding.. the taste is AMAZING!!! It’s got a beautiful rich chocolate cake on top and a fudgy chocolate sauce hiding underneath. 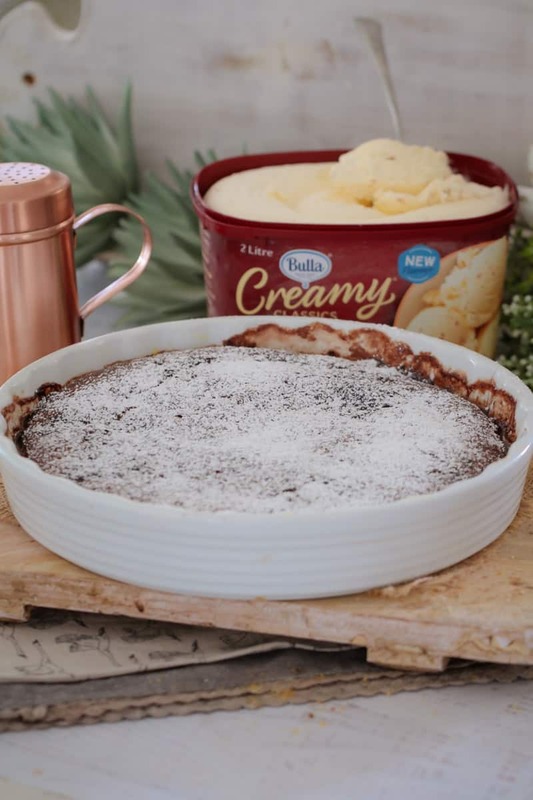 Winter dessert perfection!! 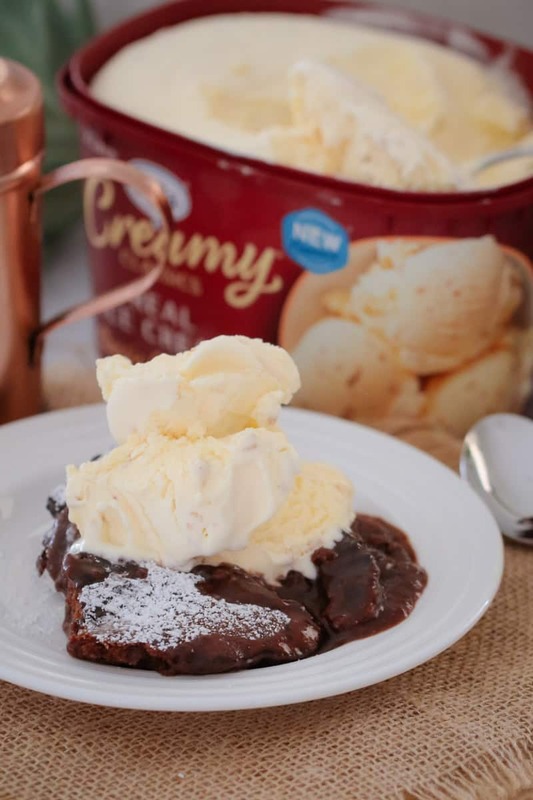 So grab a blanket, snuggle up on the couch with a movie and enjoy ALL of the yummy desserts this winter. 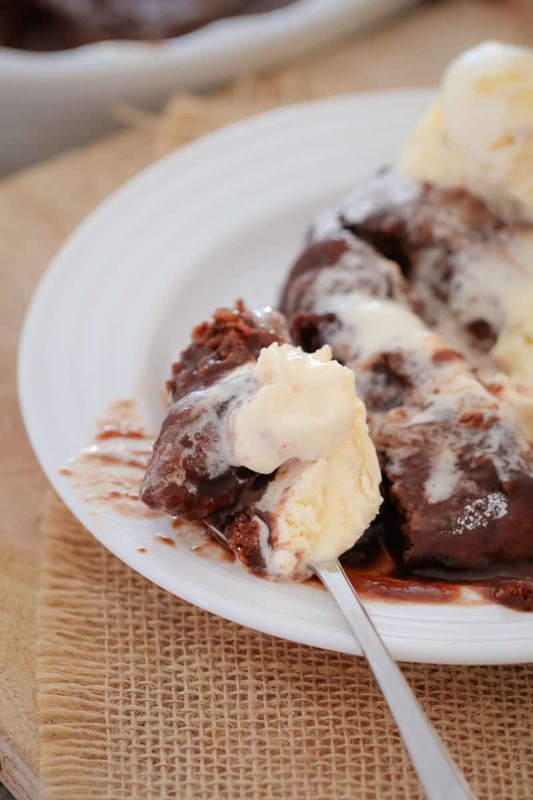 The perfect old fashioned chocolate self-saucing pudding... a rich chocolate cake smothered with a smooth chocolate sauce. Preheat oven to 160 degrees celsius (fan-forced). Grease a large (6 cup capacity) baking dish and set aside. Melt the butter in the microwave and allow to cool slightly. Add the milk, vanilla extract and egg and whisk together. 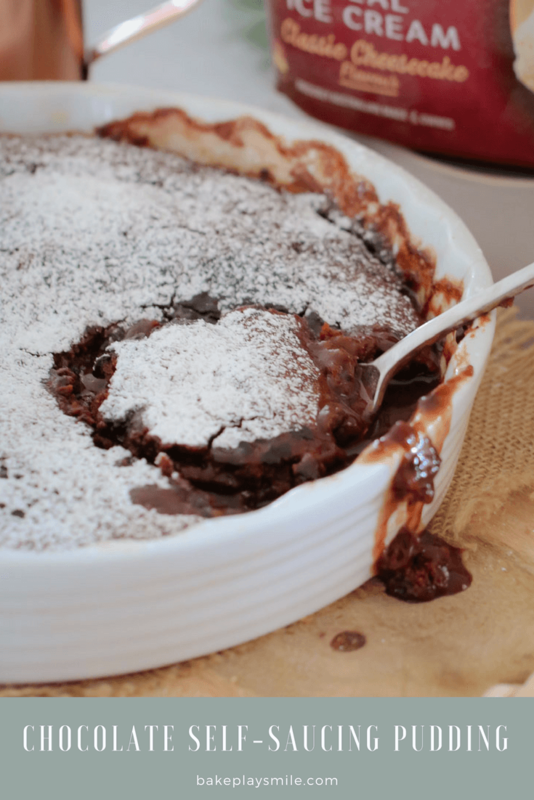 Sift the self-raising flour and cocoa powder over the liquid mixture. Add the caster sugar and whisk together until combined. Sprinkle the extra cocoa powder and caster sugar over the pudding mixture. Carefully pour over the boiling water. Bake for 30 minutes or until firm on the top (but liquid underneath - as this is the sauce). Allow to cool slightly, then dust with icing sugar. 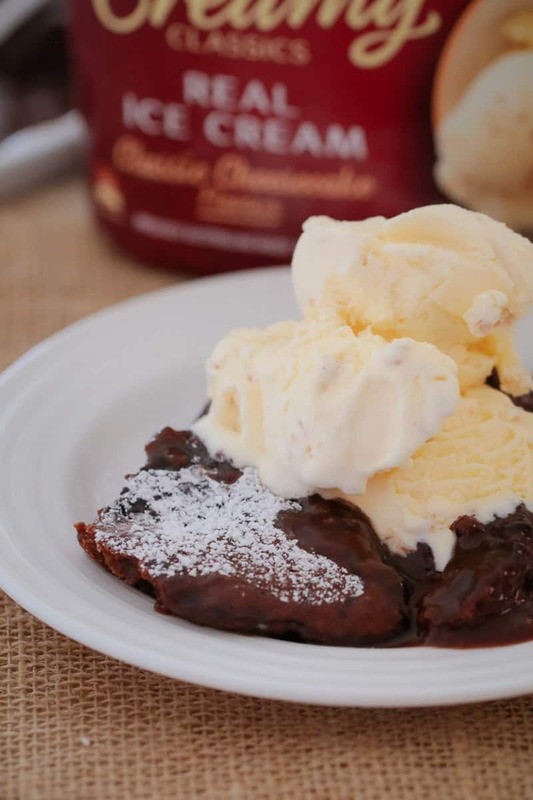 Serve with vanilla ice-cream or custard. Preheat oven to 160 degrees celsius (fan-forced). Grease a large oven baking dish (6 cup capacity) and set aside. 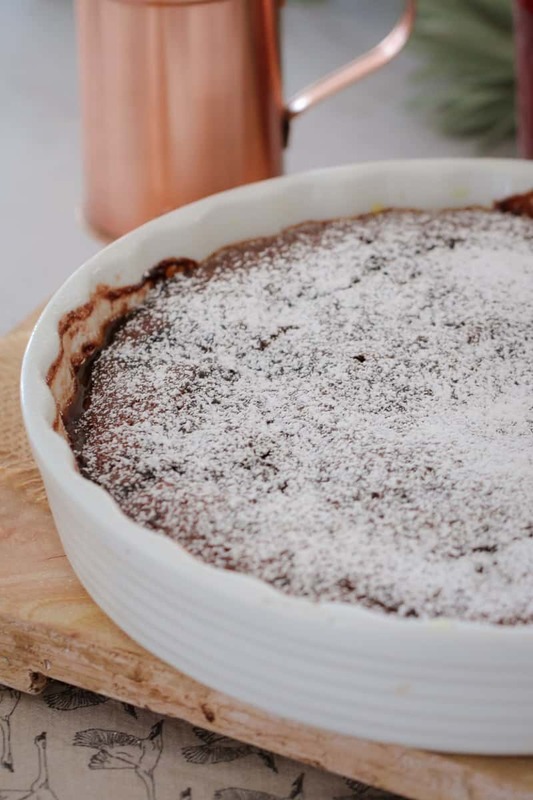 Sift the self-raising flour and cocoa by pressing Turbo 5-10 times. Set aside in a separate bowl. Place butter into the Thermomix bowl and melt on 100 degrees, Speed 1, 2 minutes. Allow to cool slightly. Add the milk, vanilla extract and egg and mix on Speed 4, 20 seconds. Add the sifted self-raisingflour, cocoa powder and caster sugar and mix on Speed 4, 5 seconds. Scrape down the sides of the bowl and mix for a further 10 seconds or until smooth. Pour the mixture into the prepared dish. Allow to cool slightly, then dust with icing sugar. Serve with ice-cream. This looks fantastic! I must try this!